Midnight feasts, hi-jinks, dormies and secrets. Malory Towers with cheddar on top. Love school stories? Then you’ll adore this squeaktastic new series full of colour pictures, giggles and drama. 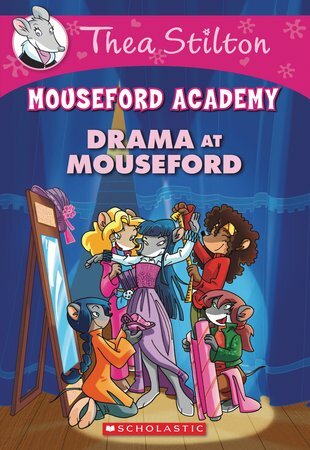 The Thea Sisters have enrolled at the historic Mouseford Academy. Lucky old them! Not only will they train to become journalists, but they’ll be caught up in all sorts of wild adventures. Don’t miss a single moment. Get these books in your paws and follow the fun from the very start.